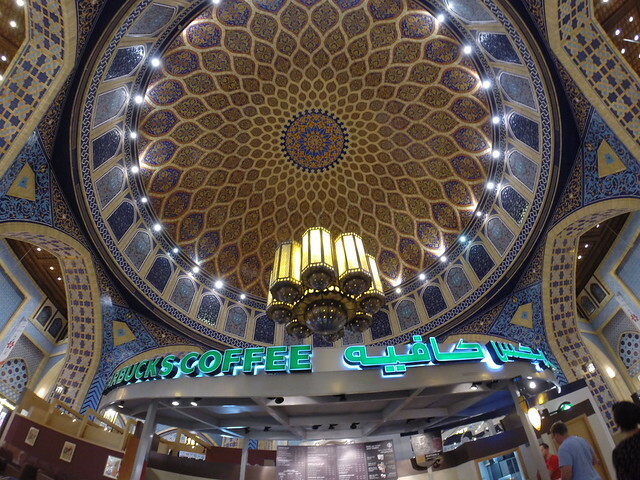 Probably one of the most unique and stunning Starbucks outlets that you will find in the whole planet is in Ibn Battuta Mall, Dubai, UAE. Keep track of your long and short-term goals. The UAE is an excellent country to learn and grow professionally, and on a personal level. At some point it tends to be a fairy tale due to indescribable blessings, temptations, and challenges. Whether you like fairy tales or not, it is up to you to write your own happy ending. Being an expat requires a certain amount of humility and assertiveness. Each day, look for opportunities that will make your home country proud of you by bringing integrity and cheer in your own ways. Do not forget where you came from. You are an expat on a mission, and you should have an exit plan – a graceful and respectful one. I have been interviewed regarding expat living in the UAE, integrating into a multi-cultural environment, pieces of advice for soon-to-be expats in the UAE and more. Thanks for the feature, Expat.com. Here is the link to the full details of the interview. I really like the advise you gave here. Although I am an expat, I must admit that somehow I don’t feel like I need to have an “exit plan”. I don’t even feel like an expat here. I feel so at home.